It's one thing to DVR your favorite show or the big game when you're stuck late at work, but what if you won't be going home later that night, or even that week? When travel takes you far, whether for work or pleasure, you still need to see your local teams or that award-winning home video sitting in your DVD player. 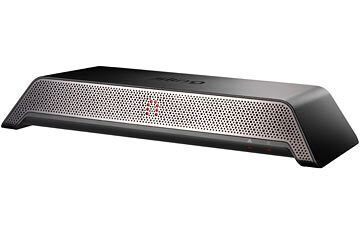 The Slingbox Pro-HD allows you to control and watch video from a gaggle of high-definition* and standard-definition sources, including your cable box, DVR or DVD (Blu-ray too!) player, all through the magic of the Internet. You can tune in from your laptop or mobile device and even access couch-potato features like the SlingRemote, which looks and works exactly like the remote control you have at home, and the Live Video Buffer*, which allows up to 60 minutes of DVR-like program-editing. Using a Slingbox, you can watch TV through your Windows Mobile device, BlackBerry, Palm, Symbian or iPhone using the SlingPlayer Mobile application (sold separately). Fret not, Android users: Sling is hard at work on an application for you too. *Some features, including HD viewing and the Live Video Buffer, are supported only on Windows machines, though Mac support is reportedly on the way.